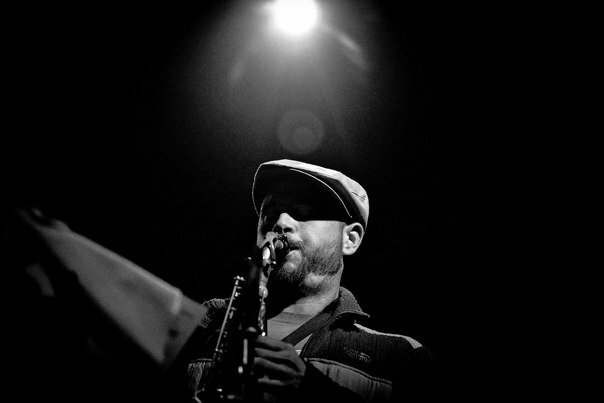 NYC-living Evan Francis has been a professional musician since about 1998, composing and performing on saxophone, flute, clarinet, congas, bongo and singing. Recently, he has been named a "Rising Star" in the Flute category of the Downbeat Magazine Critic's poll. He has performed/recorded/toured around the world with notables like Stevie Wonder, Michael Buble, Taylor Eigsti, Miguel Atwood-Ferguson, Helen Sung, Meshell Ndegeocello, The Pacific Mambo Orchestra, Lyrics Born, Talib Kweli, Art Davis and many more. His flute and saxophone playing was featured on the Grammy-winning debut record of the Pacific Mambo Orchestra in 2013. His composing and band-leading skills have been employed in the form of various projects, including Spaceheater, Spaceheater's Blast Furnace and The Evan Francis Group.